This product also comes in a gluten free version, however it is not as tasty as the original one as per the image above. With the gluten free cookie, it crumbles so much. 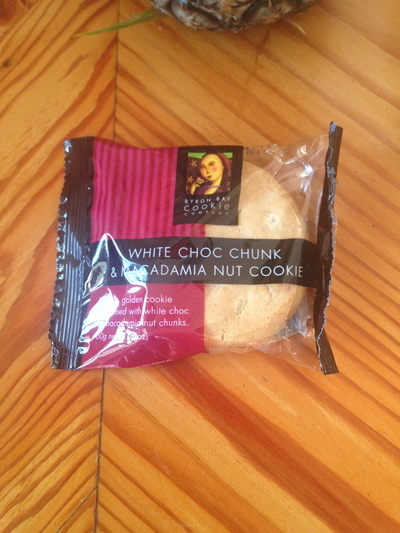 Love this product for both the macadamia nuts and the white chocolate pieces. The chocolate pieces are small yet flavoursome. The macadamia nuts are not salty. They taste just as fresh as the farm variety. Quite a filling treat. A great alternative to chocolate when those afternoon office cravings mount. Furthermore, when you fly from Sydney to Cairns with Qantas in economy class; you might be given this product to snack on after the main meal has been provided on board. How to avoid tears while chopping onions?